Effective marine archaeological site management demands detailed information on not only the spatial distribution of artefacts but also the degradation state of the materials present. Although sonar methods have frequently been used in an attempt to detect buried wooden shipwrecks they are currently unable to indicate their degradation state. To assess the sensitivity of acoustic measurements to changes in the degradation state of such material, and hence the potential for sonars to quantify degradation, laboratory measurements of compressional wave velocity, as well as bulk density for oak and pine samples, in varying states of decay, were undertaken. 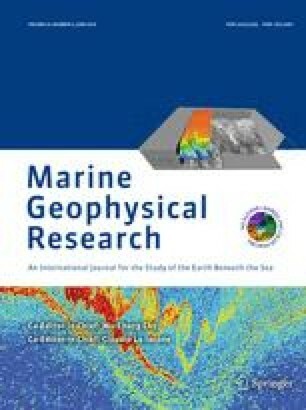 These data enabled the calculation of theoretical reflection coefficients for such materials buried in various marine sediments. As wood degrades, the reflection coefficients become more negative, resulting in the hypothesis that the more degraded wood becomes, the easier it should be to detect. Typical reflection coefficients of the order of −0.43 and −0.52 for the most degraded oak and pine samples in sand are predicted. Conversely, for wood exposed to seawater the predicted reflection coefficients are large and positive for undegraded material (0.35 for oak, 0.18 for pine) and decrease to zero or slightly below for the most degraded samples. This indicates that exposed timbers, when heavily degraded, can be acoustically transparent and so undetectable by acoustic methods. Corroboration of these experimental results was provided through comparison with high resolution seismic reflection data that has been acquired over two shipwrecks.